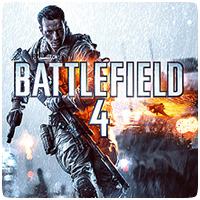 EA have revealed that an open beta for Battlefield 4 on the PlayStation 3, Xbox 360 and PC will launch in October, ahead of the game’s release on October 29th. In addition, the release dates for the PS4 and Xbox One versions of the game were also revealed, with the PS4 version available on November 12th in North America and November 29th in Europe. Madden NFL 25 and FIFA 14 will also be releasing on the PS4 on the game dates mentioned above. If you purchase the PS3 version of the game, you’ll be able to upgrade to the PS4 versions for as little as $10 says EA. The Battlefield 4 open beta will be available to download from October 1st, giving you a good few weeks to decide if you want to purchase the full version of the game.